The Fnatic Clutch G1 Optical Gaming Mouse, the second mouse in the Fnatic line, saw its debut at the beginning of this month. 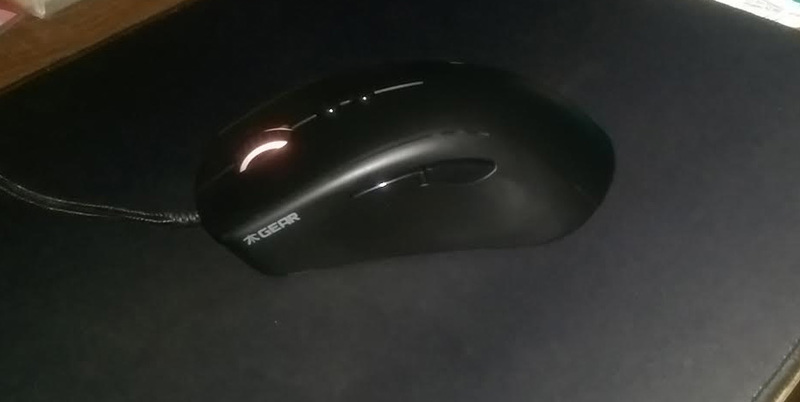 After spending nearly two weeks with it in hand, I wanted to share my thoughts on this minimalist mouse designed by gamers for gamers. Fnatic is an Esports organization with professional teams spread across multiple games. Despite being familiar with the organization, I hadn’t known about their foray into designing peripherals until very recently. 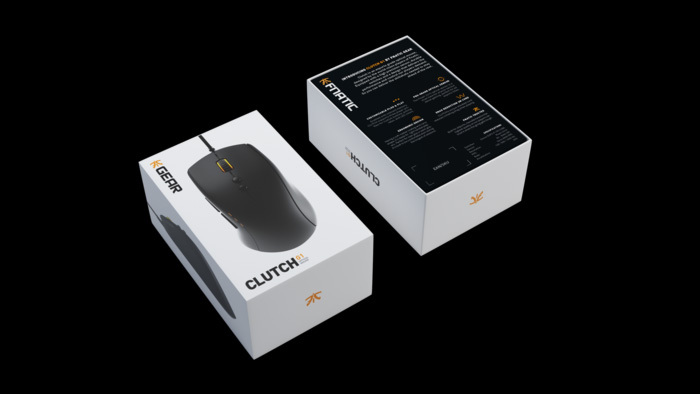 As mentioned before, the Clutch G1 is the second mouse in the Fnatic brand line, following the Flick G1. While the Clutch is a small step up from the Flick in regard to design complexity, it’s still very minimalist in style. 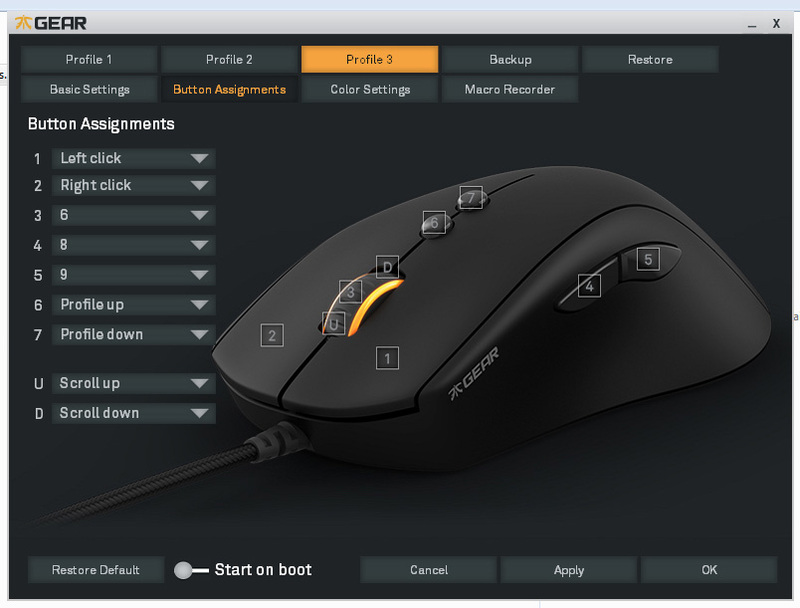 Fnatic consulted their professional players to find what was important to them in a mouse, and since these are MOBA and FPS players, it’s unsurprising that they didn’t require a ton of extra buttons and features. What the Clutch brings to the table is a light body, a cord that emphasizes drag reduction, 7 buttons, and three easily customizable mouse profiles that can be differentiated by the mouse’s LED display. Let’s start with talking about the mouse’s physical design and move on to its software design. The Clutch is much lighter than any other gaming mouse I’ve used. At first, it was surprising and even felt a little strange. Over time, however, I adapted to the weight and came to appreciate it. The Clutch is comfortable in hand and slides easily across a mousepad, which demonstrates the delivery of the drag reduction promise. The scroll wheel is at a good height (i.e. not raised too high or sunk too deep) and has a satisfying amount of resistance. The mouse is only made for right hand use, so in the unlikely event you use a mouse with your left hand (even as a lefty, I personally don’t), you should be aware of this. The seven buttons are standard left and right click, two buttons on the left side (easily accessible with the thumb), a clickable scroll wheel, and two small buttons located directly under the scroll wheel. By default, the two buttons under the scroll wheel are bound to switching between mouse profiles. The buttons are well placed for easy use, so I have no complaints about their positioning. As a frequent player of MMOs and ARPGs, however, I do have to admit I longed for just a few more buttons in well-placed positions. There’s some extra space on the left side of the mouse that could be utilized for more thumb buttons, for example. I played several games using the Clutch (including Guild Wars 2, Counter-Strike: Global Offensive, Battleborn, and Divinity: Original Sin 2), and it worked extremely well for the FPSs where I didn’t require a whole lot of button bindings. In the RPGs, however, I wanted those 2-4 more buttons so I could bind more number keys to my mouse. 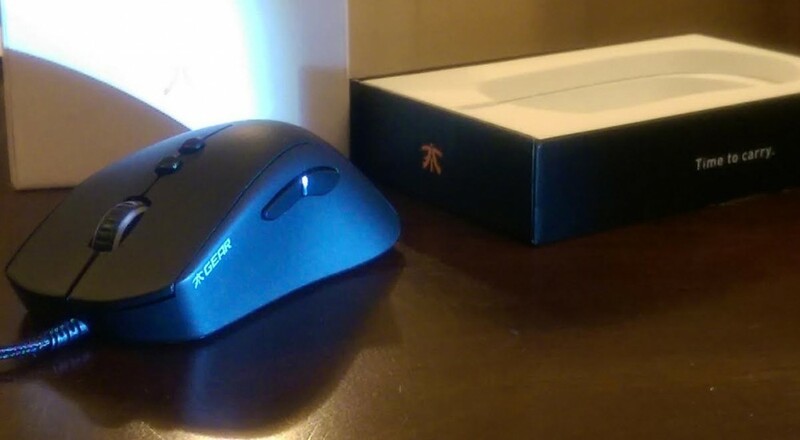 As with all gaming mice, the physical hardware isn’t the entire package of the Fnatic Clutch. Clutch owners will need to download its special software (found here on their website) to utilize the mouse. Once installed, you can set up three mouse profiles. Mouse profile software can sometimes be unintuitive and a hassle, but I found the Clutch’s software was very straightforward and easy to set up. Each of these profiles is complete with full button binding options, DPI settings, and LED coloring. The LED colors are fully customizable (using a color slider and saturation slider) and the brightness of the light can be set as well. The LED also boasts optional effects like blinking and fading in/out. I really appreciated the ability to set a custom color for each mouse profile so it was easy to see at a glance which profile my mouse was on. The profile number is also indicated by three slim light bars located by the lowest thumb button, so users aren’t forced to use different colors to differentiate between profiles. I came away from my time with the Clutch impressed and looking forward to seeing what Fnatic has in store for the future. The mouse looks good, has a great feel to it, and possesses intuitive software, all of which go a long way for what I want in a gaming mouse. Everything about the mouse, from the light body to the button placement to the LED customization, indicates that Fnatic put a lot of thought into it. The only drawback for me is the lack of just a few more buttons for games that are hotkey-heavy. If it had that, this mouse would be a slam dunk for me. As it is, this mouse is very good, but lacking in one important thing for those of us who bind a lot of keys to our mice. That aside, though, it’s certainly worth a look - especially if you’re an FPS or MOBA player who doesn’t need those extra buttons. I hope that Fnatic continues expanding their mouse line, because a similar mouse with 9-12 buttons would likely be an instant-buy for me. A review unit of the Fnatic Clutch was provided by Fnatic. Page created in 0.5586 seconds.